Summer was busy and exciting in the ministry! In June, CCEI, Inc. participated in the Association of Classical and Christian Schools (ACCS) annual conference in Dallas, Texas. 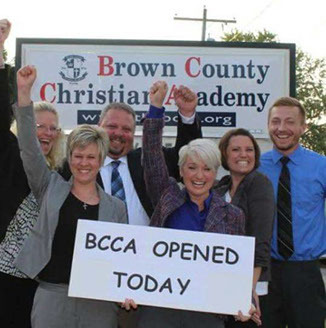 We hosted Brown County Christian Academy Headmaster Eric Purdy for Leadership Day and the BCCA Board sent him for the full conference so he could network with professional, established classical administrators, board members and teachers. 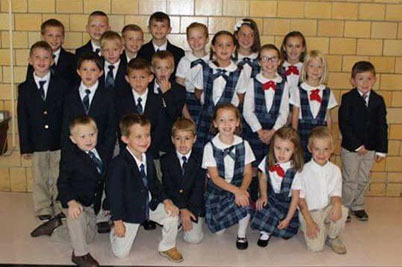 August 31, 2015, Brown County Classical Academy successfully opened as a new ACCS member classical Christian school in Ohio. Please continue to pray for these folks and their students. Please take the time to look at their website at thebcca.org and like them on Facebook. missionaries Jim and Sue Brannan from Missionary Ventures International. The Brannans still support missions in Christian education and are sympathetic to the classical Christian method. One contact from our co-laboring in Peru is a request to help train teachers at Yo Soy Jesus mission and school in Lima, Peru. Peruvian University student Abigail Varillas, whose parents founded and operate Yo Soy Jesus, has applied for a VISA to come learn from classical Christian schools under the guidance of CCEI, Inc. founders David and Christy Anne Vaughan. Please pray that Abigail finds favor for an approved VISA to visit in December during her break from classes at university. 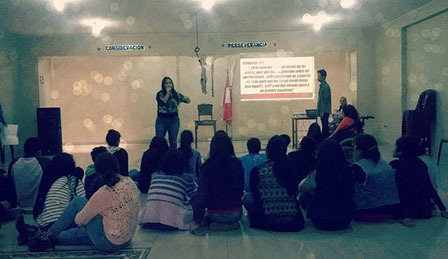 At left, Abigail leads a youth group at Yo Soy Jesus mission School and mission in Lima, Peru. In July, Christy Anne went on a mission trip with Real Life Church to Huancayo, Peru. We were blessed by the opportunity to share the love of Jesus with the lovely mountain people in Huancayo as well as the brothers and sisters at co-sponsoring church Comunidad Carismatica De Lima (stage with Tetelestai banner, which means “paid in full” in Greek – what Jesus did for us at the cross). 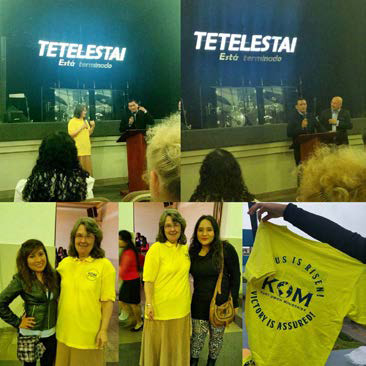 Pictured with Christy Anne at top left is translator Pastor Jorge, far right Pastor Jorge and Pastor Kurt Owen of Real Life Church Clewiston, FL, bottom left Christy Anne with Mary Chipana (Bonelli) translator and best friends with Abigail Varillas pictured lower right with Christy Anne. Mary grew up with the love and care of Jesus through Christian missionaries and she helps teams by translating whenever she can. Abigail Varillas of Yo Soy Jesus School and mission met us at the hotel in Lima with her father while on the Real Life Church mission trip and requested our help in training teachers in the classical Christian method. Please be in prayer for this work and God’s provision for Abigail’s plane ticket. Please also be in prayer for start-up schools in Palm Beach County, Florida and new startup school efforts in Jacksonville, North Carolina and the Dominican Republic. God provided increased enrollment for Grace Christian Academy on Long Island, New York! Go to www.graceacademyli.com for details and ongoing prayer needs.